A fast-paced, strategic matching game perfect for the whole family! The rules are simple: Players get 5 double-sided picture cards that they must lay out in front of them. 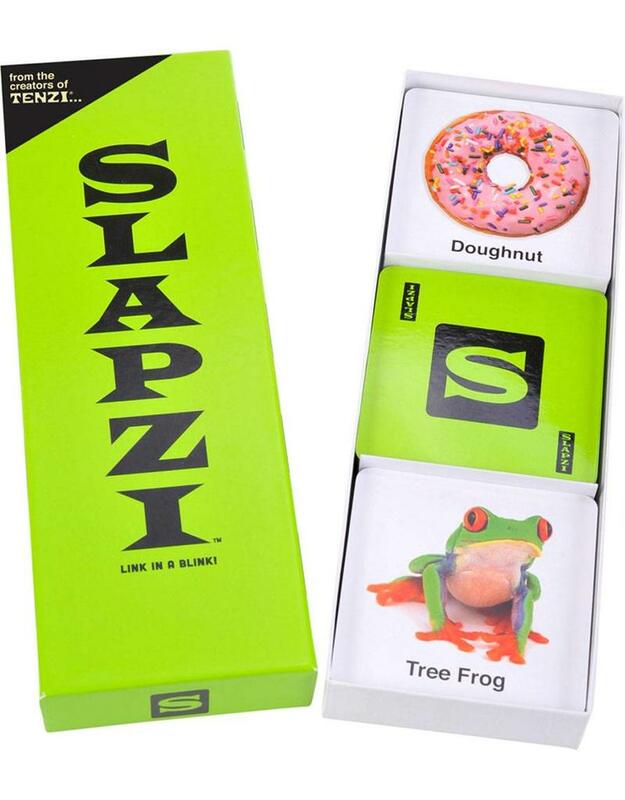 A Clue Card is drawn and placed in the middle of the table and the first person to find an appropriate Picture Card to match the clue must quickly slam their card down on the Clue Card and yell, "Slapzi!" At this point in the game other players have the opportunity to challenge whether or not the Picture Card matches the clue; if it doesn't, the player who slammed it down must take it back and also draw an extra Picture Card to add to their 5. The first player to get rid of all of their cards wins! Includes: 120 Picture Cars and 65 Clue Cards.